Very rarely do you find headphones that are as optimized for in-studio use by music professionals as they are for everyday use by the layman, so rarely do you see this that I’ve almost become resigned to the fact that you have to choose one or the other. However, with some simple but effective maneuvering, Audio Technica has managed to pull off the seemingly impossible quite well. 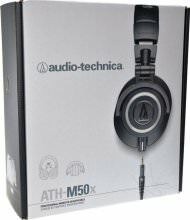 The Audio Technica ATH-M50x is a nigh-on identical replacement for the popular Professional Monitor ATH-M50 headphones, with just a few design changes made to accommodate the portable use they had become unexpectedly popular for. Build mostly out of plastics, but reinforced with steel, the ATH-M50x can take a punch. With an outer casing and headband made almost exclusively from plastic materials (the headband is reinforced with steel as well as the inner ear-cups) my first thought on opening the ATH-M50x was these headphones weren’t designed to look pleasing to the eye in any way. However, when I took them out and got a good look at them, I realized that the design is more targeted to a younger crowd and that it does seem to be quite cool in a DJ booth or studio. The pads are made from a soft leatherette which felt fine at the beginning but grew more and more uncomfortable with each passing hour of use, and eventually led to ear-fatigue, something I think most people will not find as forgivable as aesthetic. I don’t know if in my case this was enhanced by what I found to be a little-too-tight hold from the headband, but either way the comfort could be so much better. 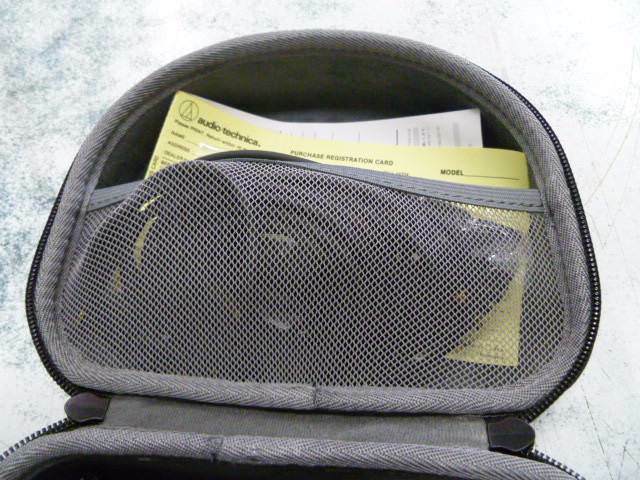 Although the earpads are improved over the standard M50 earpads, they can still become somewhat uncomfortable. Velour pads are available on Amazon which are supposed to be a lot more comfortable. 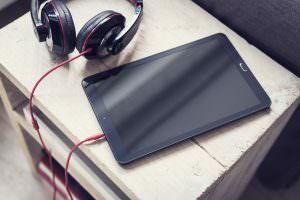 While the M50 has a fixed cable, the M50x has a detachable cable. On top of that, Audio-Technica is generous to provide you with 3 different cables! The fact that they are on the bulky side and are heavy to wear didn’t help matters, although that’s a little less noticeable, probably because it feels more intentional than anything else. The headband, on the other hand, is nicely padded which slightly made up the comfort levels of the headphones as a whole. The biggest advertised difference from the ATH-M50 vs the ATH-M50x is the cable which connects to the left ear-cup, where the previous version had one 3-meter cable the ATH-M50x model has a straight 3-meter detachable cable secured by a twist to lock mechanism. It also comes with two other cables, a portable 1.2-meter cable and a coiled 1.2-meter cable that extends to 3-meters, all of which come in handy when doing different activities. 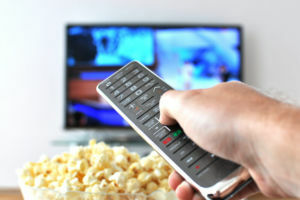 However, none of them has a line-in remote, a shame really. Although being detachable along with the classic in-folding ear-cups means these are well adapted for travel and I can pop them into my bag whenever I need to without any trouble. An elastic inside pocket for extra storage is quite convenient for those extra cables. 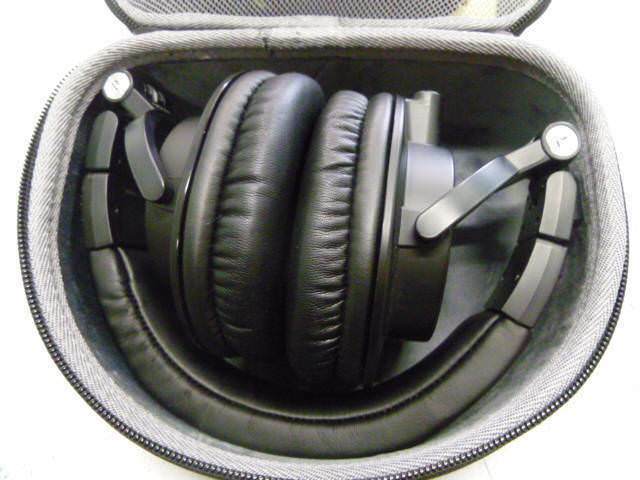 The M50x fits snuggly in its designated storage case. Despite the largely plastic build of the ATH-M50x, it is quite sturdy and feels durable. The plastic is reinforced with steel where it needs to be and the cables are all thick and the detachable feature serves to increase their durability as the cable connection is the point where most headphones are vulnerable, being able to remove it means I don’t have to worry about it breaking when I fold them up for travel or just to put them away and the fact that there’s three also means I wouldn’t have to worry about finding a replacement if one of them does break or get lost. No doubt as a result of the steel reinforcement and the early 00’s DJ design, they tend to be on the heavy side. Bold branding on top of the headband, giving it a real DJ look. The popularity of the earlier ATH-M50 model came about mostly because they were often seen as anti-establishment, the anti-cool headphones that were actually better sounding than their much cooler rivals in the same class (mostly the Beats by Dre headphones really). 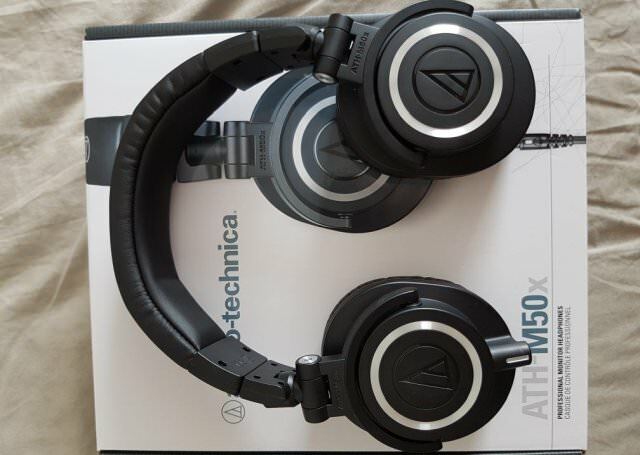 The ATH-M50x has continued in that same vein, producing almost the same classic sound as its predecessor but ever so slightly improving it (to my ears and a few others at least, Audio Technica actually claims they have the same sound). The main difference I noticed between these headphone and most other high-end headphones is they don’t overemphasize on the bass (unlike the Beyerdynamic DT 770 80 ohms) nor do they overly rely on power to amp up the listeners experience, opting instead for a much flatter frequency sound (meaning no notes are artificially reinforced over others). Although an improvement over the original M50, comfort is still not great over longer periods. The bass is tight and full on this one but if you’re a complete bass head then these aren’t for you because they won’t fulfill your needs in that regard. Again, check out those DT 770’s 80 ohms. The mid-range and the highs are all just as tightly packaged so the vocals never suffer whatever the song may be. The treble is however slightly tinny and I think could be better, although I am nitpicking at this stage to be fair. The one real problem in the sound quality area comes in the noise isolation area. While these aren’t active noise cancelling headphones, they are large and closed back so they should do better with closing out sounds than they actually do. 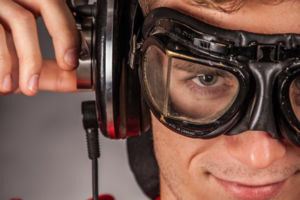 For me not to hear any real noise at work or on my commute, I often found I had to play my music at full volume and even then I could still hear quite a few sounds, trains, very loud voices, etc. These are still professional studio use headphones so expect any poor quality song you may have on your playlist to be exposed as just that. 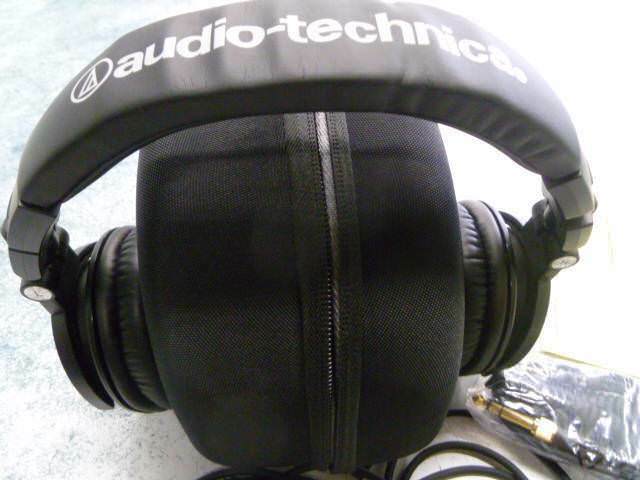 Nice shiny rings and the Audio-Technica logo on both earcups adds to the DJ coolness factor. The ATH-M50x underwhelms in a few areas, namely noise isolation and comfort and if this is entirely your basis for selecting headphones then you might do better to look at other options because these headphones will disappoint in those aspects. Given that these headphones came about purely to accommodate portable users, the fact they don’t have a line-in microphone is also a disappointment. But however, in the areas where they do excel, they are truly exceptional. The sound quality is high grade and lived up to its billing as in-studio headphones by providing a steady, rich sound across a wide spectrum of sound where some headphones tend to exaggerate certain sounds at the expense of others. Incidentally, apart from acoustic music, I particularly enjoyed this flatter frequency sound when watching movies on my laptop as the sound effects were rich and dynamic without sacrificing the voices of the actors in any way. 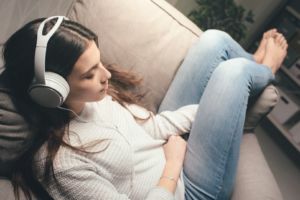 All things considered, if you can put up with slight discomfort and some bulk for great audio quality then these are just the headphones for you. Conversely, if you enjoy the retro look and feel then you’ll certainly get your money’s worth with the Audio Technica ATH-M50x Professional monitor headphones. That’s it for this review folks! As always, if you have any questions, let me know in the comments below. 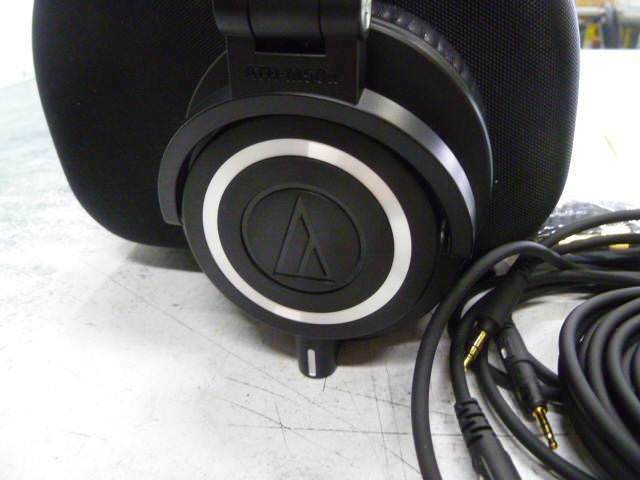 The ATH-M50x continuous on the path of the still solid M50 by adding a removable cable to the design. However, if you already own the previous M50’s, there’s really no need to upgrade for any other reason than the removable cable. 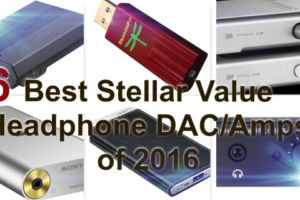 Your review seems quite believable as you point out some aspects of these headphone that are not so good and praise the area’s where they deserve it. I’m interested in finding head phones that could possibly replace studio monitors and these ones sound promising. 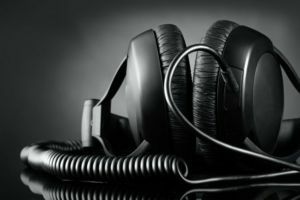 Do you know of any other headphones that have a flat response and might be suitable for mixing when it’s not possible to use studio monitors? Hey Steven, might wanna check out the Superlux HD661 as this is also a very good monitoring headphone. If you wish to stay with Audio-Technica, I suggest you check out the complete M-Series line-up: M70x, M40x, M30x and M20x. I haven’t had any experience with those, but I’ve did some research on them. i disagree with recommending the m50 for studio monitoring work, they are slightly bassheavy which is not good for mixing music. i personally think the m40 is more suitable for mixing than the m50’s. or the Beyerdynamic DT770/DT880. a good studio monitor does not have to sound great. I reviewed your site and your product review on the ATH-M50x headphones. Your site is impressive and easy to navigate through. I have a background in design, so visual aesthetics are important to me. You have done a great job in choosing a relatable color pallet that showcases the products you are reviewing and promoting. Your content is well organized and focuses on your thoughtful and thorough review of the product’s aspects with great images that are right on in size and clarity. I like the fact that they seem to be taken by you and convey snapshots of what the consumer would expect to experience if he/she were opening the product at home. You have done a great job communicating focus on the review and not coming across as trying to sell the product for a profit. Your content is well written and flows well. I really love the “in a hurry” button…very smart. Example: However, when I got a good look at them, I realized they may be designed for a younger crowd, but they are quite cool, especially for a DJ or the studio. There is a phone app called Elevate that plays like a game and trains the player to think this way. It has helped me tremendously in several areas. I believ you have a few run-on sentences that can easily be corrected through Grammerly, a free and easy grammer checking site that is much more than a spellcheck. Under sound quality, third paragrah and first sentence, the word headphone should be plural. Grammerly will fix that type issue also and it will check as you are writting in WP. 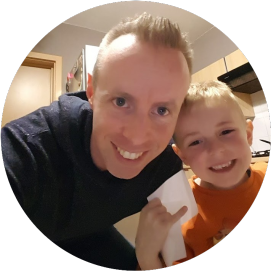 Last thing is very sensitive and I need to do the same thing…consider having someone take some pictures of you alone for your “About Me” page. It doesnt have to be professional but a waist-up photo with a colared shirt looking into the camera wuld communicate “Listen to me…I know what I’m talking about…”Don’t get me wrong, your current image is fine, but I think you owe it to yourself to put the extra effort in and reap more reward. Hey, I don’t have any room to talk, My photo is probably 7 years old and badly photoshoped to remove my daughter. We just don’t focus on ourselves once we have kids and we use what we have when creating that page. In conclusion, great job…Keep up the good work and all the best to you Jurgen. I really appreciate you took the time to check out my site and give me all this valuable info. It’s very impressive! Thank you for your nice compliments on the site design and my way of communicating. I try to do my best to properly inform my visitors, whether it’s a product review or tips/ways to find online music, as I believe helping people is the right way of doing business. Concerning the topic of giving critique, I also do believe it’s essential if you want to keep growing. Recently another visitor told me that he almost moved on because of the length of one of my reviews. He suggested that I added a summarized version of the review. He had an excellent point and this gave me the idea of adding the “In A Hurry” button. I will try to optimize the text in my review (I’m using Grammerly since I started blogging), but I’m not a professional writer of course. However I try to think that I’m getting better with practice 🙂 Will check out that phone app! Thank you again for your valuable input Angie. I’m very grateful for that! Wow these Audio-Technica ATH-M50x Headphones look amazing really, i really like the fact that they have great sound quality and a durable design. But personally i don’t like bulky headphones, can you recommend any headphones that have the same durability as these ones but that are smaller and more compact? 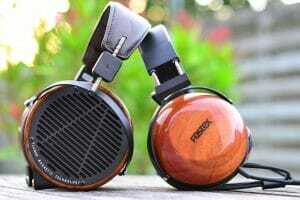 Check out my review on the Superlux HD661. These are also closed over the ear headphones for monitoring purposes, but they sound very nice for use at home and on the go. They’re lightweight and not bulky. I was actually thinking of buying a pair of new headphones recently, but I hadn’t done any research. After reading your article I think I know what headphones I’m going to buy! Also, I really like the way you write. It sound like you’re speaking with such power. What headphones would you personally recommend? Hey Kevin, to give you a personal recommendation I would need to know what your preferences are. 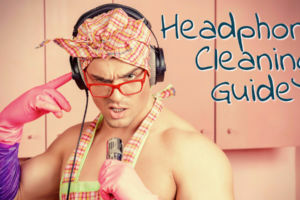 So, let me know what you’re looking for in a headphone and we’ll go from there. I like how informative your article is. I was looking for some good reviews online on the ATH-M50x and I found your website. The great thing about this headphone is that it has a pretty good sound quality and there is a 2 year warranty provided. I would consider buying it soon. Thank You. Hi Jurgen. I believe that the removable cable, and the fact that they provide three different ones, might be enough for me to get these. The other thing that I find interesting are the velour pads that you mentioned. I would be inclined to go that direction with these. 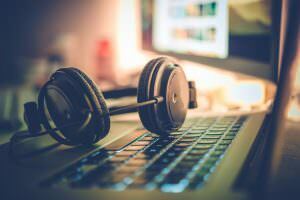 It seems that most headphones out there give you ear fatigue. I’ve been using Sony MDR-7502s for many years, but purchase replacement earpads on a regular basis because of the ear fatigue. 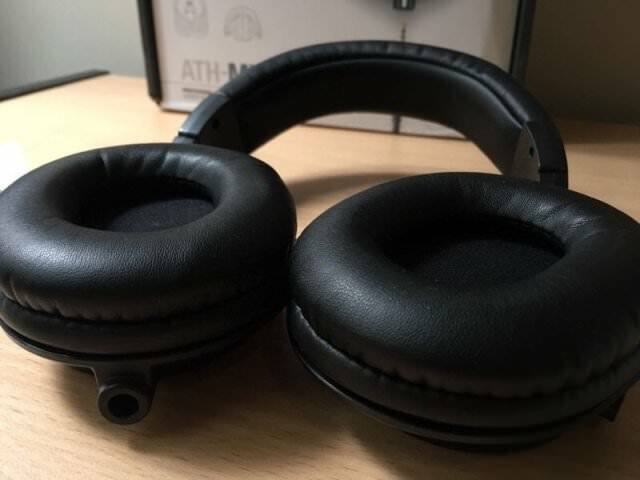 Do you believe that there are aftermarket or manufacturer replacements for the ATH-M50x, or should I just get the velour pads? Hi Steve, the M50x only comes with the pleather earpads, so you’ll have to buy the velour pads separately. If you’re planning to wear these for several hours at a time, I highly recommend those velour pads. Thank you for your review, I was thinking of purchasing these specific headphones, as my friend has this same pair of ATH-M50x headphones. He recommend to me he likes them overall and the price wasn’t that bad either. I really like the idea of them being portable and the different cords. I believe the comfort isn’t going to be a factor for me personally as I rarely listen for long stretches of time.This coupled with the quality of sound I have decided to spring for the headphones. I think they will be a nice travel set. Thanks again. You’re welcome Dan. I can understand why your friend recommends them. It took me quite some time before I got the chance to review these. And they definitely confirm all the positive things I’ve read about them the past few years.